SilverCamp has everything a modern camping website template needs. A beautifully organized layout, a clean reservation form and eye-catching parallax effects that can help you build a stunning online presence for your venue. 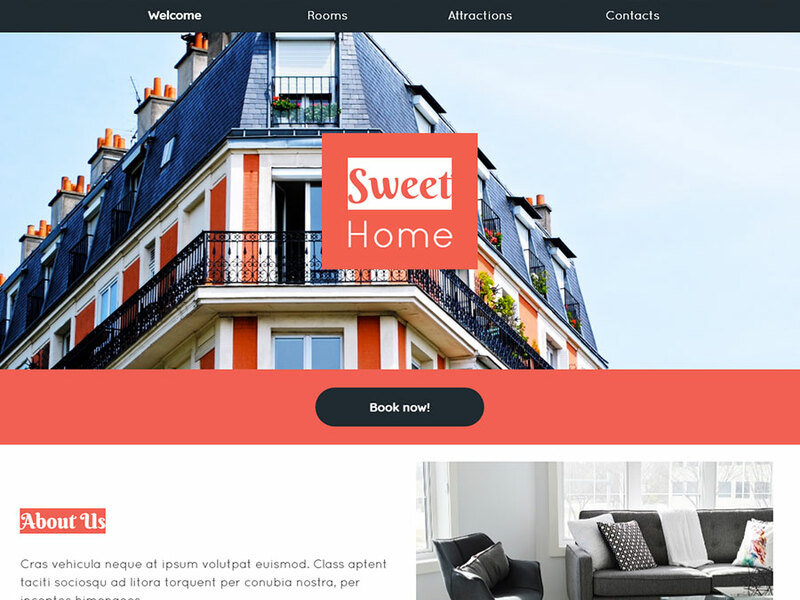 On top of that, its fixed navigation sidebar makes it easier for potential guests to browse through your services and little amenities as they scroll down the page. What's the best part? 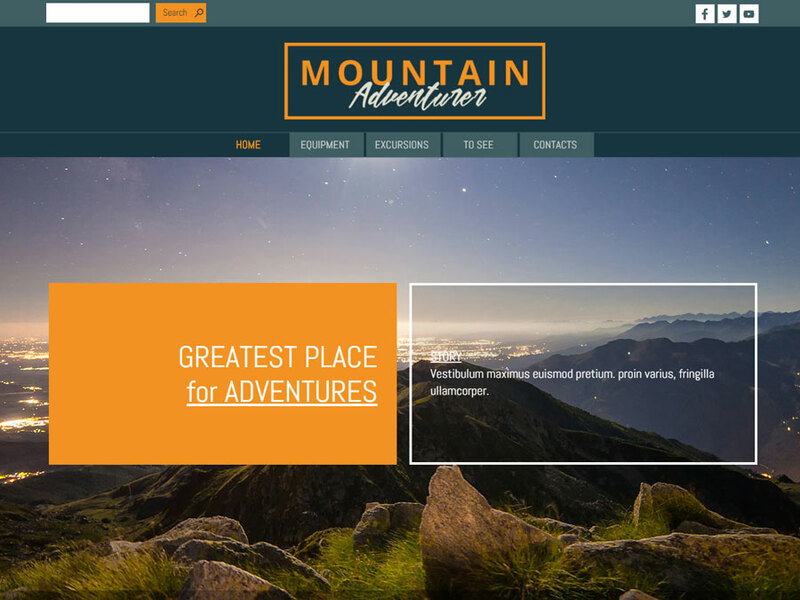 You can do anything by yourself and create the website for your campground in a few clicks. Customize the template with your logo, imagery and text. 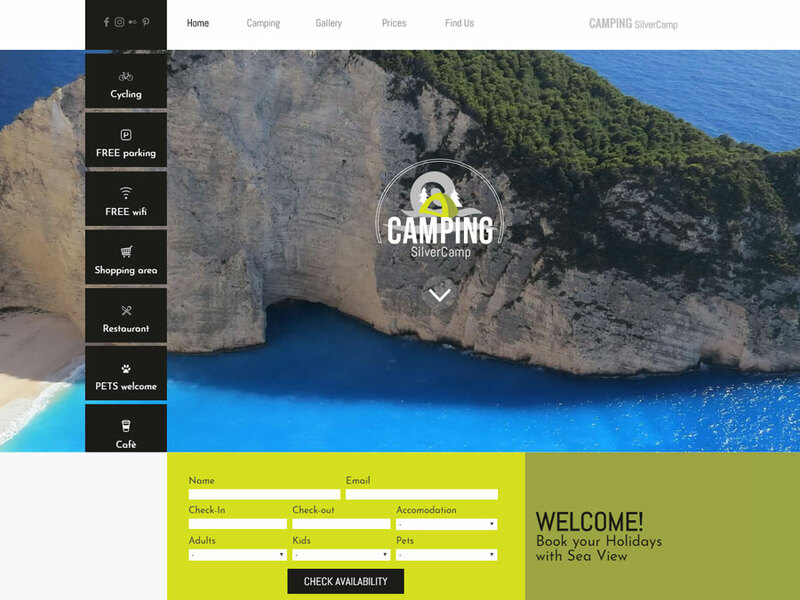 Camping is a responsive template and it will easily adapt to any device. To increase your reservations, simply edit the Offers section with your accomodation details. It's really easy! 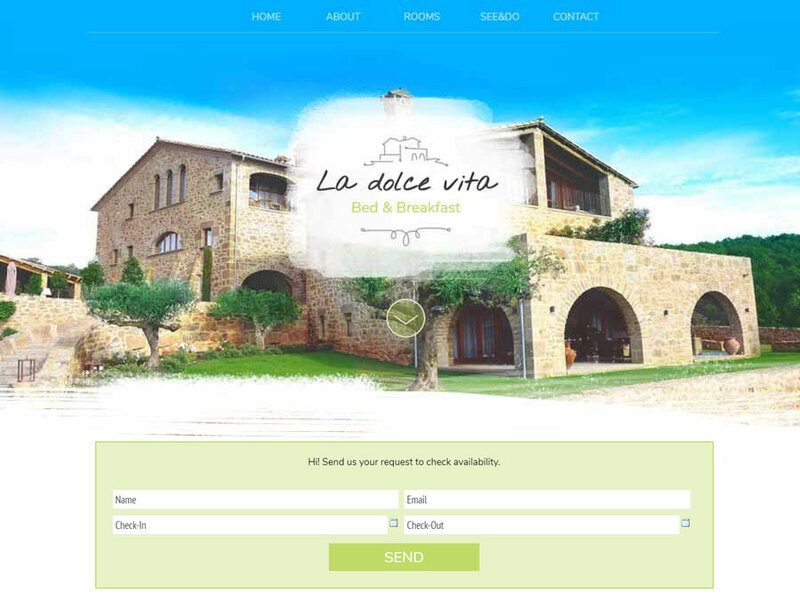 The Travel and Hospitality world is changing: your website should give a complete representation of what it’s like to stay at your facilities. Camping is the website template you need to really be on top of your game.